Natasha is an experienced civil practitioner who accepts instructions in commercial, contract, housing, environmental, and property matters. Natasha has a particular interest and specialisation in matters relating to the field of environmental and regulatory law having spent a period with the Environment Agency on secondment as a senior lawyer. During this time Natasha not only enhanced her expertise in this area but was involved with general civil litigation, nuisance actions, human rights issues, negligence and contractual claims. Natasha’s civil practice regularly involves both representation at interlocutory hearings and trials on all tracks, as well as drafting and advisory work. Noted for her thorough preparation and practical advice, Natasha is an able and considered advocate who seeks to ensure clients are put at ease. Natasha recognises the important role that negotiation and alternative dispute resolution have in modern litigation and is experienced in these areas, teaching these skills as part of her work with the University of Exeter. Outside of her litigation work, Natasha takes an active role in promoting diversity and encouraging the next generation of lawyers. 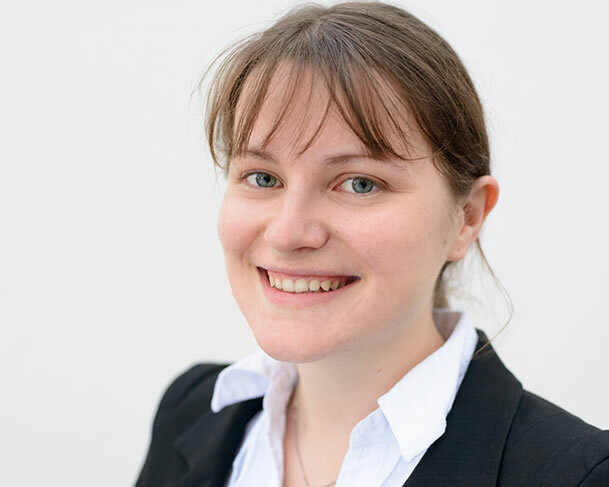 Natasha is involved in many initiatives concerned with widening access to the profession and lectures at the University of Exeter in the substantive subject of Administrative Law - an area she hopes to develop further in practice through judicial review work. Natasha regularly advises businesses and individuals on contractual matters including business to business and consumer disputes, as well as insolvency and bankruptcy issues. Most recently, Natasha has appeared in the High Court on an insolvency dispute concerning an injunction to restrain the presentation of a winding up petition. Natasha has experience in claims brought under the Data Protection Act 1998 and is available to assist businesses and individuals with their obligations under GDPR. As part of her work with the Environment Agency, she also has experience of dealing with freedom of information requests. Natasha further understands and has experience of the additional considerations relevant to public bodies, including agencies and local authorities. Natasha was involved in a dispute concerning an historic contract whereby legislation had devolved responsibilities to different bodies, both public and private, which involved far-reaching issues concerning its construction, interpretation and the proper process (arbitration) for resolution of disputes. Natasha was previously a lecturer at the University of Exeter, where she is now an Honorary Fellow. She designed and taught Negotiation skills to undergraduate students. Natasha applies these skills in her analysis of disputes, maintaining a business focused approach. Natasha regularly advises clients on all matters relating to property litigation, including the construction of easements, and in particular rights of way over residential and commercial property, including ancillary rights, such as parking and right of repair. Natasha has also dealt with cases involving misrepresentation in property sales and in particular a case involving the sale of a property afflicted by Japanese Knotweed. Natasha advises on disputes concerning nuisance and negligence claims and has advised on the possible claims concerning the building of new road. Natasha’s property practice is complimented by her public and administrative work, which includes planning and environmental work. Natasha understands the unique pressures on public bodies having been a Senior Lawyer at the Environment Agency in the Flood and Coastal Risk Management team. She advised on all aspects of water and managing flood risk ranging from the delivery of schemes, regulatory issues, drafting and advising on contracts. Her case load engaged a wide ambit of issues including property and planning matters with an environment focus. Natasha was the advocate in a long running trespass claim concerning boats mooring on the River Thames, which raised a number of human rights, public body, and public rights of navigation issues. Natasha has also represented local authorities and other clients in trespass claims concerning both residential and commercial property. Natasha’s growing housing practice includes advising and representing parties in possession claims and cases involving anti-social behaviour for both housing associations and tenants. Natasha has furthered her breadth and depth of experience in this area by covering duty housing lists. A skilled negotiator, Natasha has a proven track record having set up and taught the Negotiation module when she was a lecturer at the University of Exeter. Natasha is also an accredited civil and commercial mediator. LLB Law (Hons) – Upper Second Class (awarded the ‘School of Law prize’ for outstanding contribution to the Law School and the ‘Peter English Memorial Prize’ for the best Criminal Law Dissertation. Also the recipient of the Goodman Derrick LLP Scholarship (2008-2011)). Natasha enjoys playing the guitar, baking and charity work. She is involved with fundraising for charities, such as St. Margaret’s Hospice, Refugee Support Group, and the Blue Cross centre in Tiverton (where she also walks dogs). Natasha’s particular interest in this area is planning and environment disputes. Natasha has demonstrated her skills in this area by securing a position as Senior Lawyer in the Flood and Coastal Risk Management team with the Environment Agency following a successful secondment. Now back to full-time practice Natasha advises an environmental consultant and has acted for local authorities on environmental issues. In particular, Natasha has represented local authorities in matters relating to the prosecution of listed building offences and breach of enforcement notices. Natasha has also advised defendants about abatement of nuisance and matters under the Environmental Protection Act 1990. In her role as Senior Lawyer at the Environment Agency she was a National Advisory lawyer managing a diverse case load advising on all aspects of water and managing flood risk ranging from the delivery of schemes, regulatory issues, drafting and advising on contracts. Her case load engaged a wide ambit of issues including property, public safety, planning matters with an environment focus. Natasha quickly built up relationships with technical staff and provided prompt business focused advice. Natasha continues to work with the Environment Agency on an administrative court litigation, providing advice and assistance. Natasha has advised about the implications and impact of town and village green designation with reference to statutory authorities. Natasha was a junior (led by Gavin Collett) and advocated in the high profile statutory challenge in the Administrative Court by Sustainable Totnes Action Group (representative claimant J Williams) concerning the controversial traffic regulation order made by Devon County Council in Totnes, the decision was upheld on appeal to the Court of Appeal (Williams & Ors (The Sustainable Totnes Action Group) v Devon County Council  EWHC 568 (Admin)). Natasha is an honorary fellow of the University of Exeter, where she was a Lecturer prior to coming to the Bar. Natasha has experience in claims brought under the Data Protection Act 1998 and is available to assist businesses and individuals with their obligations under GDPR.